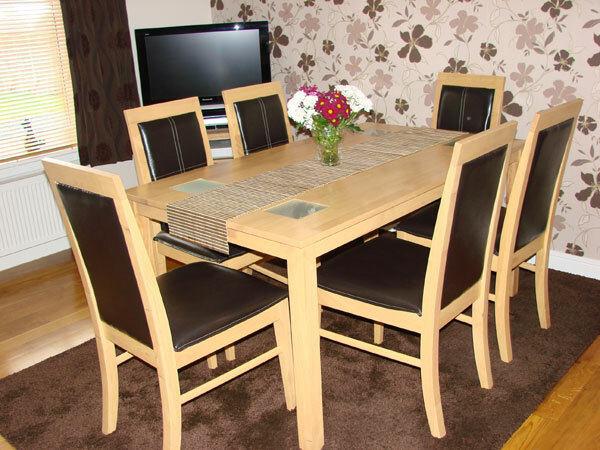 Dun-Alainn Bed and Breakfast is situated in a quiet location of Tobermory but is within four minutes walk of the town centre. The town offers a wide variety of attractions including walking and wildlife tours, boat trips, museum, shops, restaurants and pubs. The beautiful Aros Park and Baliscate Standing Stones are only a short walk away. The atmosphere of this small B&B is relaxing and friendly and the owner Dona is always on hand to make your stay as comfortable as possible. She can help with planning your trips and tours and also provide secure cycle storage. Dun-Alainn Bed and Breakfast accommodation is the perfect base for exploring the Isle of Mull. Dun-Alainn Bed and Breakfast is situated in a quiet location of Tobermory but is within four minutes walk of the town centre. 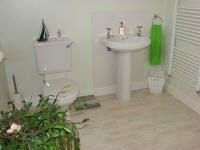 The spacious double bedroom has a large private bathroom immediately next door with bath and power-shower over. Luxurious robes are provided for your comfort, along with toiletries, tea and coffee making facilities, shortbread biscuits and sweets. The bedroom has a flat screen TV with freesat, DVD player and a selection of DVDs. Hair-dryer and radio alarm clock are also provided. Free Wi-Fi internet access available. A full Scottish cooked breakfast is served between 8.30 and 9.00 am or earlier by arrangement. Please let Dona know in advance if you have any special dietary requirements. 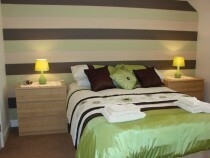 Double Room- £70 per night for the room, including full breakfast; £40 per night single occupancy. We are open all year except for December and January. Check in after 2pm; Check out by 10.30am on day of departure. The town offers a wide variety of attractions including walking and wildlife tours, boat trips, museum, shops, restaurants and pubs. On arriving in Tobermory on the A848 from the Craignure or Fishnish ferry, proceed to the roundabout at the top of Tobermory and take the last exit signposted Main Street. As you go down the hill, take the first turn on the right. Dun-Alainn is then the second turning on the right. There is ample private parking.